If you are having pain in your tooth, feeling swelling in your gum line or at worse having headache and throat pain due to this, then you are suffering from tooth infection for which Root canal treatment is the ultimate solution. 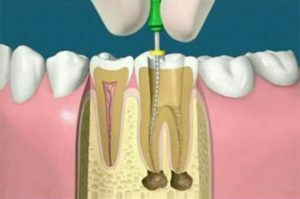 The root canal basically refers to the natural cavity filled in the center of your tooth and the tooth nerve system lies in the root canal. When the nerve tissues get damaged, they invite bacteria to home in that infects the whole tooth system and hence you get pain, swelling, and bleeding. To get rid of all these problems, root canal treatment is necessary.